Sean is now offering a two day, one-to-one workshop here at UTLT. At the end of two days you will go home with this durable and versatile utility knife that you have hand-crafted yourself. The blade is made from high carbon French steel and the handle is a resin and cloth composite, making for a tough, easy to sharpen cutting tool. The focus of the workshop is to develop a wide range of related workshop skills and knowledge in the areas of metal grinding, heat treating & tempering, polishing & finishing, and general skills associated with detailed, accurate workmanship. All safety equipment is supplied by UTLT, however please make sure you wear appropriate clothing (cotton) and footwear. Workshop Price ~ 280€ per person. This price includes all materials, one-to-one tuition, refreshments and lunch each day. Contact Us Now to book a place with Sean and make something that will last a lifetime! Overnight accommodation in one of our guest rooms & an evening meal with us is available at a special rate. If you would like to book your partner in for one of Nikki’s Pampers while you make your knife, a 10% discount off the usual Pamper price will be available. Similarly, if you are booking a knife making course for your partner and would like to treat yourself to a Pamper at the same time, the 10% discount will apply. Please refer to our website for details of how to get here, our B&B rooms, and Pamper days. 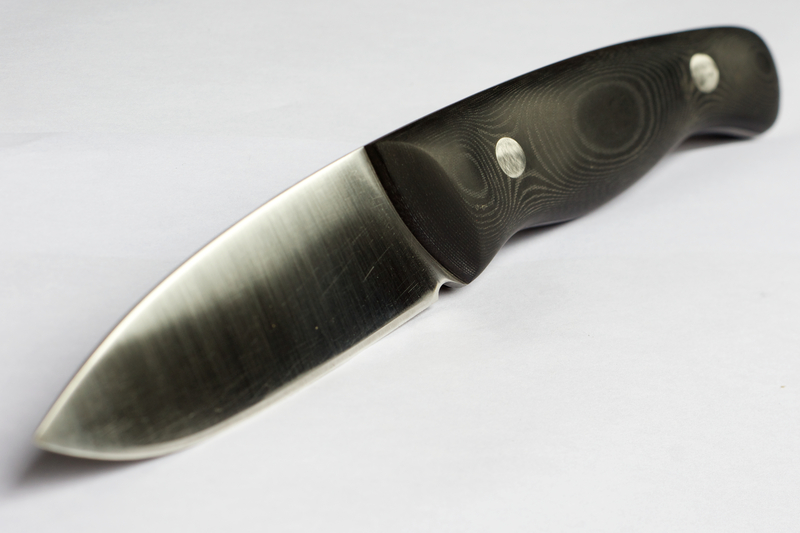 Have just completed a two day knife making course with Sean – fantastic! This has given me a whole new appreciation of a craft that I was not even aware of until recently – now I can’t pick up a piece of cutlery without studying its design and manufacture………I came away with a lovely knife but more importantly, new workshop skills that Sean imparted with great skill and patience……..highly recommended way to spend a couple of days. Thank you very much John for coming along and spending time learning new skills with me, it was an absolute pleasure taking you through the process of handcrafting your knife. See you soon. Brilliant Nikki, you are both so talented. We should get this on your website soon!! Hi Viv, ooh! Thanks for you complimentary comments! Yes, we’ll get it on the website – good idea!